Grand Canyon University senior Oliver Campo enjoys going to Major League Baseball games and wanted to share that experience with his foreign classmates so he went along with them to one of the Diamondbacks’ College Nights, a series of promotional games throughout the season. 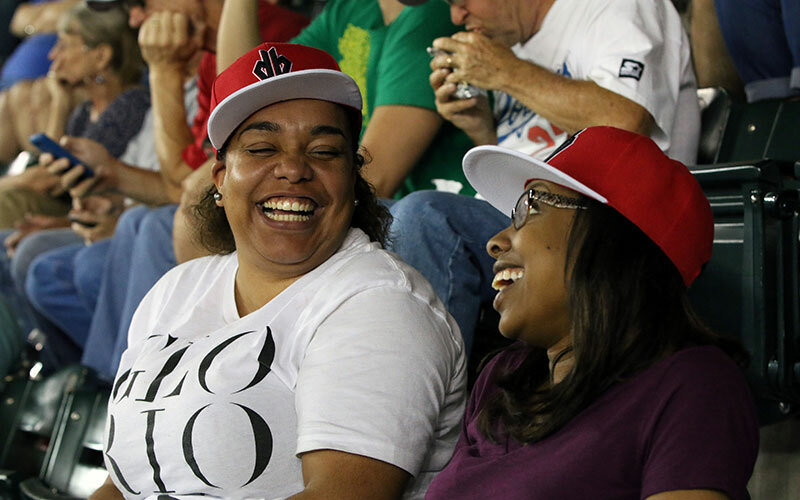 “My friends are from Japan and have never been to an MLB game so I thought the college game night would be a great experience for them,” Campo said. As ticket prices to MLB games have risen, the Diamondbacks have looked to give local students a more affordable option. That option was College Night, which began in 2008, and is built around $5 tickets for local college students to Friday-night home games throughout the season. The final College Night this season is Friday against the Houston Astros. Diamondbacks Vice President of Marketing Karina Bohn said that the growth of Arizona State University’s downtown Phoenix campus has helped with students attending College Night. “It’s been three years since we have been working with ASU to bring out students and the number that came out this year was more than double of what we have seen in the past,” Bohn said. She said the Diamondbacks have received great social media feedback from students. “We have got a nice college presence and typically everyone is going to be wearing their school colors, so you see a lot of chatter on social media,” Bohn said. 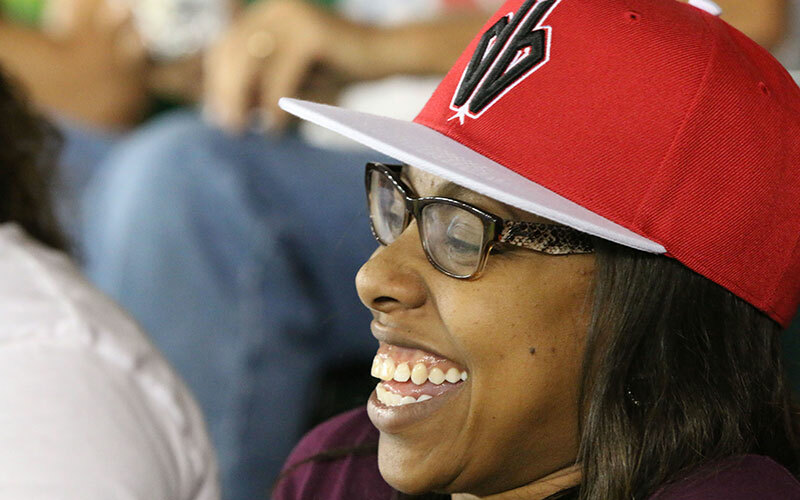 This season, the team added a $20 package, which, in addition to the $5 ticket, gives students a D-backs hat in their school colors and $5 to spend on concessions. The team offers hats for Arizona State, the University of Arizona, Grand Canyon, Northern Arizona and University of Phoenix. College Nights offer the Diamondbacks an opportunity to grow their fan base. The D-backs rank 23rd in MLB in average home attendance this season, drawing 25,501 fans per game entering Thursday’s play, according to ESPN.com. “We hope college students are not just coming out to the Friday College Night. There are a lot of other reasons to come to the games during the week or on the weekend. 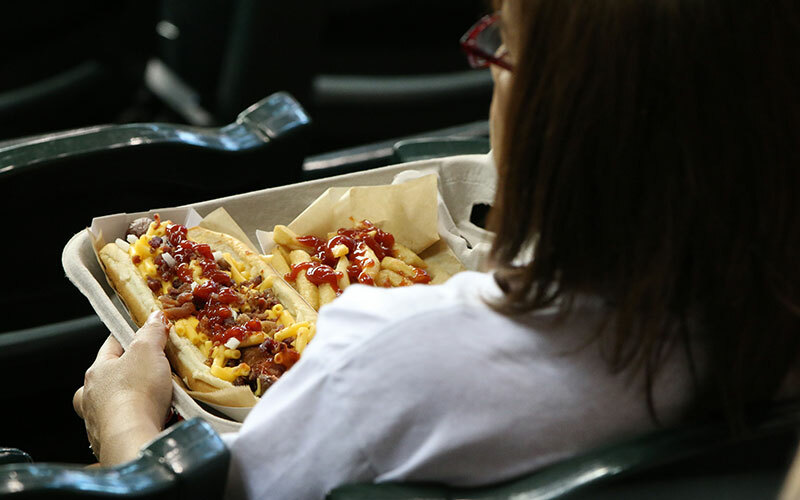 We’ve always got something going on at the ballpark and our tickets are affordable every single day,” Bohn said. The Diamondbacks had the second-lowest ticket price in 2014, according to Team Marketing Report. The average cost of a ticket was $17.98. That is nearly $10 below the MLB average ticket price of $27.93. Every year the team has had the college game nights, the number of students attending has gone up, according to Bohn. The team is considering adding more options for students next year. “Our $5 college night offer has always been an upper-level ticket but we know that there are college students who are big baseball fans who are willing to pay more to be down on the lower levels,” Bohn said. Students from all over the Valley show up for the games and there was a large turnout for the last College Night, Sept. 11, against the Dodgers. 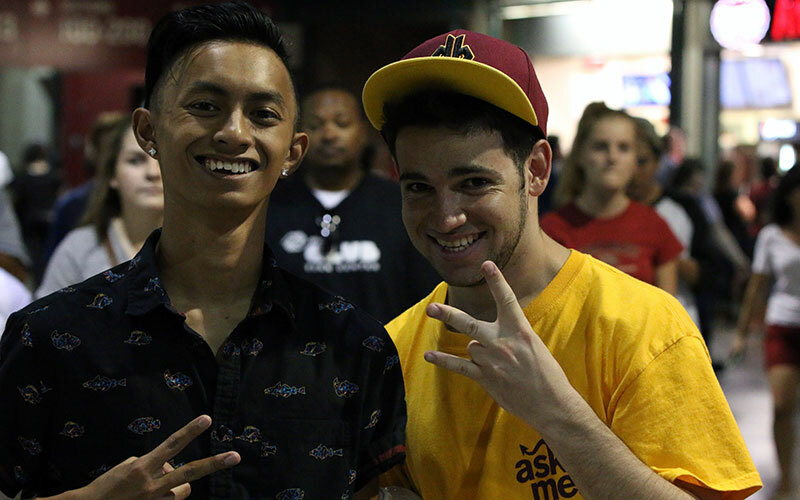 Mitch Vareldzis and Brandon Chung, sophomores at ASU’s downtown campus, took advantage of the deal. “Me and Brandon were looking for something to do this weekend and with the ballpark being within walking distance we thought it would be a fun thing to do,” Vareldzis said. The Diamondbacks have worked closely with ASU to help draw students to the games. Beth Nakamura, special events manager for ASU’s downtown campus, said that the bulk of the work with the team revolves around ASU Night at the D-backs, a game at the beginning of Arizona State’s fall semester that is free for ASU students. Nakamura said the Diamondbacks donate the tickets to the university. Almost 20 percent of the 11,000 students on ASU’s downtown campus attended ASU Night at the D-backs, according to Nakamura.